Exuding architectural grandeur, the Grade I listed Howsham Hall lies to the north-east of York, North Yorkshire, in a quiet secluded valley. After 350 years as a family home, the hall has been transformed into a luxury countryside retreat, finished to the highest standards. With a variety of stunning event spaces and 12 luxury bedrooms, it is a perfect venue for private getaways with family and friends, corporate and dining events, and luxury weddings. Each event is tailored to your individual needs by a dedicated event manager. A full butler service and highly experienced staff are provided during your stay, making sure you never have to lift a finger. Activities can be arranged within the grounds, including fishing rights on the River Derwent. If you're looking to check availability, or would like to discuss the services we offer, we'd love to hear from you! Howsham Hall offers an array of luxuriously furnished rooms for your events, with spaces to suit up to 160 for a seated dinner. The Great Hall features original polished wooden flooring and working fireplace. It is licensed for civil ceremonies or can be used as a private lounge. The Drawing Room is the largest room in the house and is often used for dinners or wedding breakfasts. Both have large windows to maximise daylight and offer fantastic views across the estate. The Riverside Bar and Terrace is ideal for post-dinner drinks and evening receptions. The Billiard Room, with its full-sized billiard table, is the ideal location for pre-ceremony drinks. The Morning Room is a more intimate space for groups of up to 20 people. For larger events, a marquee can be erected, suitable for in excess of 250 guests. The grounds are dominated by a beautiful formal lawn. Twelve bedrooms are available, which include two family suites (one with an adjoining twin room). Most of the remaining rooms have the option of being used as double or twin accommodation. All are en-suite and finished to an extremely high quality. The house was built by Sir William Bamburgh in c.1610; his coat of arms can be seen above the entrance. The interior was remodelled c.1775, probably by John Carr who is known for his work at Chatsworth, Harewood House and Castle Howard. The estate has only changed hands three times since the land was first acquired in 1573. Prices from £4,000 per day, plus VAT. Prices are tailored to each event. Please contact us. 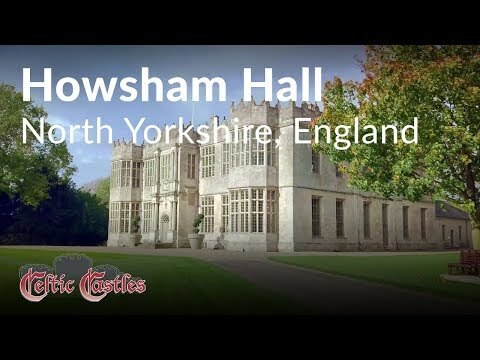 Howsham Hall is in picturesque North Yorkshire, 14 miles from the historic city of York. Train journeys between York and London can be as little as 1 hour, 45 minutes. By road, Howsham Hall is reached from the A64, which is easily accessible from the M1 or M62. Leeds/Bradford Airport is 43 miles away. The market town of Malton is 10 miles away; amenities include a railway station, restaurants, shops and a weekly market. York Racecourse, Castle Howard and Ganton Championship Golf Course are all nearby.